You certainly do not want to be worrying about how to get to the church and about traffic on the most important day of your life. That is why more and more Oklahoma couples are hiring luxurious cars from Prince Towncar & Transportation Service. This company will not only eliminate any travel stress you may have but also help you make a grand arrival. 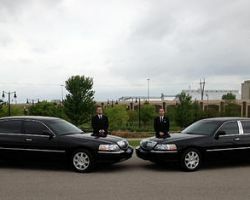 There is no better way to arrive to your wedding and have the entire day’s travel taken car of than hiring this company. Out of all of the limo companies in Oklahoma none of them provide luxurious travel quite like Limotude Oklahoma City. They have been described time and time again as elegant and classy. Limotude gained this title by providing affordable limo services whilst maintaining an incredibly high level of service every second of the journey. They are experts in airport transportation, party limousines and most importantly classic wedding travel. Not to mention their impeccably trained chauffeurs who will be there to make your day even more memorable. 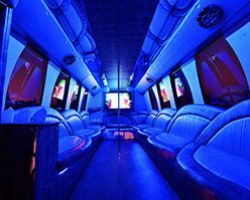 VIP Limousine offers limo rentals in Oklahoma City, OK for every kind of travel imaginable. For weddings, this company has already served over 8,000 local brides. This company can bring you to the ceremony, get you to the reception as a newly married couple or simply whisk you away to your honeymoon flight. 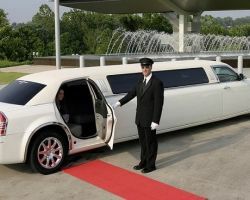 This company does not simply provide transportation, but they will literally roll out a red carpet for the couple, provide non-alcoholic champagne, assist with any luggage and the chauffer will wear formal attire to suit the event. 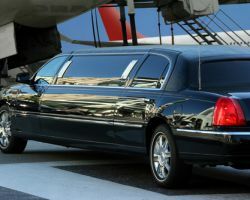 The first thing that you notice about this Oklahoma City limo service is their huge list of offered services. They can cover any need a client may have and can do so for remarkably cheap prices. 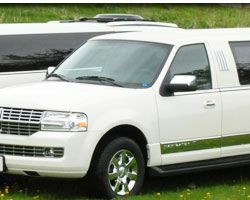 The owner, Bryan Newton, has built up Newton’s Big Hat Limousines to have a beautiful fleet of vehicles. Whatever need their clients may have this company can provide. Their range of services covers prom limos, a classic town car or an extravagant stretch limo. 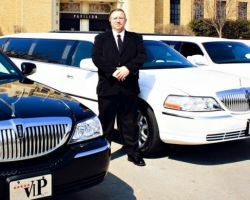 When looking for the perfect limo service in Oklahoma City it is important to contact the company directly for the real rates they are offering. That is why at Triple Diamond Limos they ask for each new customer to contact them directly so they can discuss with you how they can assist your travel needs. As a service you can trust they will guarantee you get to your wedding on time and when the party is over you will leave in true style. Luxurious travel starts with having a beautiful car and a trusted and reliable chauffeur. Premium Car offers both for transportation to and from the airport as well as vacation travel and special event transportation. You will feel like a celebrity when you arrive at your event in one of these limousines. The drivers will ensure you have nothing to worry about, as they will get you to your destination safely and on time so you can relax and enjoy the ride. 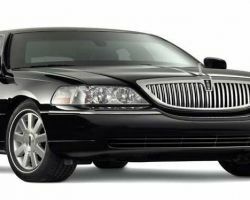 Black Diamond is the premier luxury transportation company in Oklahoma for a variety of events and groups of any size. They have options that are perfect for a large group of girls to head out on the town for a bachelorette night or a luxurious bus fitted with poles for the men to enjoy a bachelor party even while they’re in transit. Travelling in style begins with booking the services of this company. You will feel like royalty when you get the custom quality care of the chauffer and the entire team.